Directions: Click the image above to download a printable version of this Jonah coloring page. We’ve also uploaded a high resolution jpeg image for advanced editing. You can also browse all our free Jonah lessons and resources. This cartoon clip-art style pictures shows Jonah running away from God. 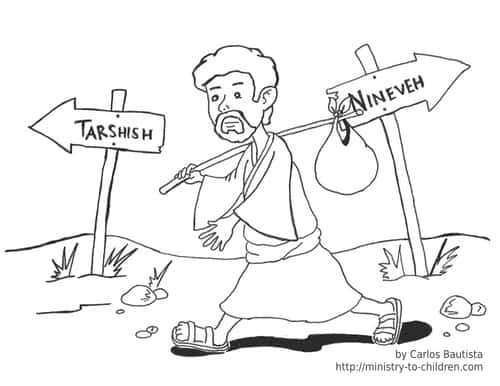 The illustration shows two directional signs, one points toward Nineveh and the other toward Tarshish. This scene is from the first chapter of the book of Jonah. If you enjoy this free coloring page, please leave a comment below to thank Carlos for his work. He is a young man from the Philippines who attends Bible college and works with children in his local church. 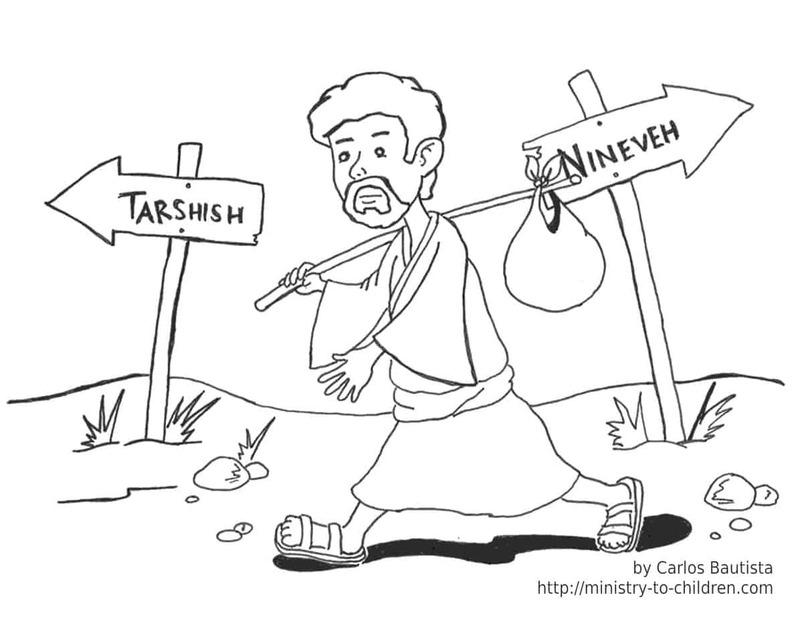 Thank you Carlos for your excellent illustration of Jonah running away from God. I am sure that as the children color the page it will help them to understand the lesson more clearly. May God bless and prosper you in your endeavours. Tony Kummer (Editor) reviewed & updated this page on : November 7, 2012 at 10:18 am. All our content is peer reviewed by our readers, simply leave a comment on any post suggest an update.